NTS Announces the Acquisition of Sci-Lab Materials Testing, Inc.
Anaheim, CA; Kitchener, ON (February 20, 2019). National Technical Systems, Inc. (“NTS”), the leading independent provider of qualification testing, inspection, and certification solutions in North America, announced today that it has acquired Sci-Lab Materials Testing, Inc. (“Sci-Lab”) of Kitchener, Ontario, Canada. Financial details of the acquisition were not disclosed. Established in 1990, Sci-Lab has established itself as a regional leader in qualification testing with a comprehensive suite of capabilities, including environmental, dynamics, durability, reliability, and materials testing and certification services for a variety of materials and products, including land, air, and sea vehicle components, electronic goods, plastics, rubbers, metals, coatings, textiles, adhesives, fasteners, composites, and chemicals. Sci-Lab’s 30,000-square-foot facility is ideally located in the automotive hub of Ontario, approximately 60 miles west of Toronto. Tests are routinely performed to OEM-specific and international standards for customers in the automotive, aerospace, military, electronics, and consumer goods industries. 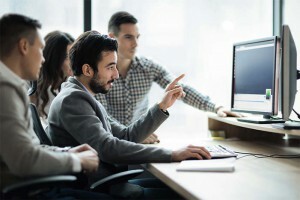 The addition of Sci-Lab brings to NTS a strategic geography in Ontario, a broad scope of testing capabilities, key local customer relationships, and an excellent team of professionals with a longstanding reputation for their expertise, customer service, and on-time delivery. 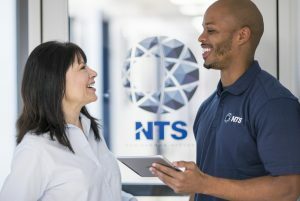 Furthermore, the addition of Sci-Lab to NTS’ two existing qualification testing facilities in Montreal greatly improves NTS’ ability to provide the same one-stop capabilities, seamless access, and service delivery standards in Canada that NTS has long provided to its customers in the United States. as we expand our local capabilities in service of our world-class customers”. is accredited by numerous national and international organizations and operates its inspection division under the Unitek brand, providing a wide range of supply chain management services.